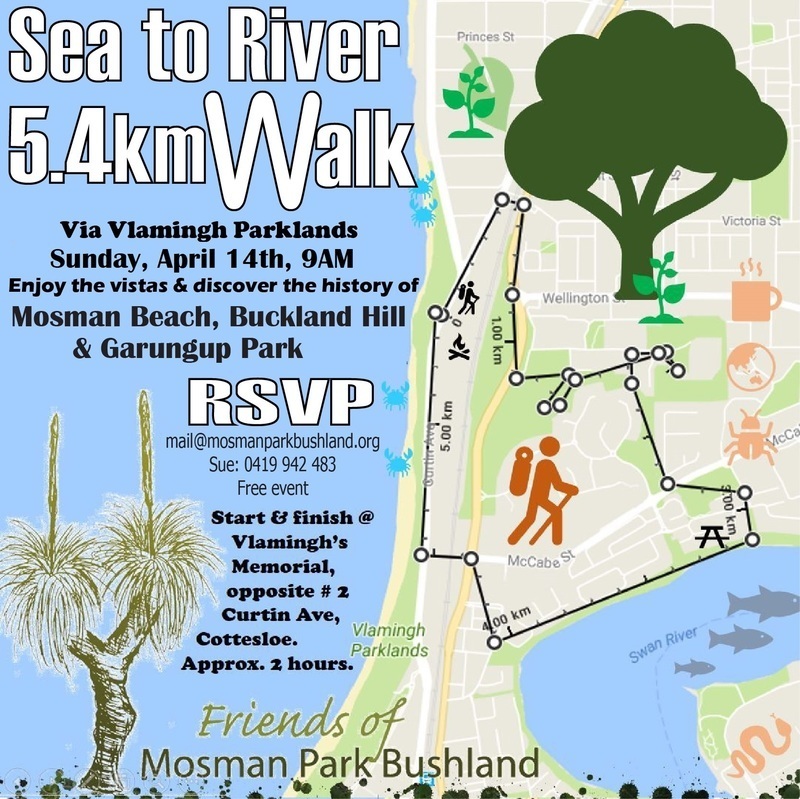 Friends of Mosman Park have a free guided walk along the Vlamingh Parklands green link between the Indian Ocean at Mosman Beach to Milo beach on the Swan River. Complete the 5.4km round circuit back to the Vlamingh Memorial (start) or accept a lift back by car. You will learn and discover the rich Aboriginal, European and natural history of this greenway. Please RSVP as places are limited. Meet at the northern most carpark, Mosman Beach, 2 Curtin Avenue. Victoria Street train station is 500m from the start. Dress for weather, bring a water bottle and wear sturdy shoes.